Goldilox judged the finals for the NERFA award in Paranormal and Futuristic Romance. Here's her 4.5 star review of the winner, Kate Corcino's Sparks Rising. Goldilox also gave Shades of Treason by Sandy Williams 5 stars. Rose Red loved Silver Borne and River Marked by Patricia Briggs. 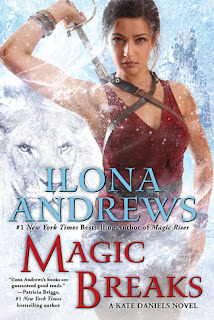 She also gave 5 stars to Magic Slays and Magic Rises by Ilona Andrews. Gretl gave 4.5 stars to J.R. Ward's new release The Bourbon Kings. 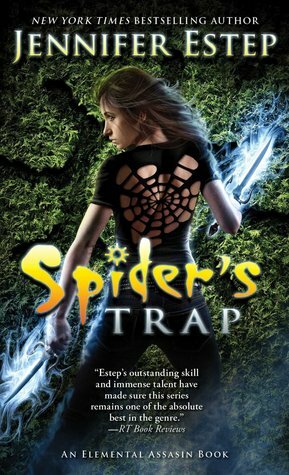 In Read This F-ing Book we talked about one of our all-time favorite series, Cassie Palmer. And we're looking for Science Fiction recommendations in our new monthly feature Which F-ing Book Should I Read? 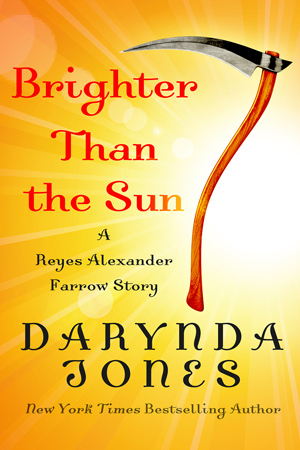 Reyes Farrow from Darynda Jones's Charley Davidson series recently became active on Twitter after a long hiatus. I suspect he's about to start promoting his new novella Brighter Than the Sun, which is out in October. And it got me thinking about which characters I was following and how many of them had stopped tweeting. Here are a few more that are currently active (and I think they're all author approved) that you might want to check out. Archdruid Owen and Oberon from the Iron Druid series have hilarious prank wars, which they then tweet about. Ethan Sullivan occasionally tweets on the official Cadogan House account. He recently congratulated the Blackhawks on their Stanley Cup win. Goldilox and the Three Weres turns 4 today! 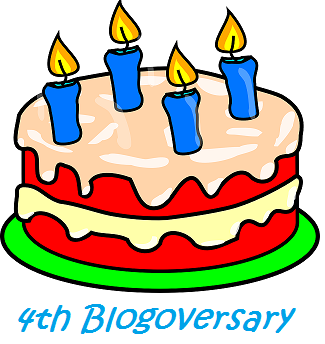 You might have noticed we started our Blogoversary event earlier this week. We have one more week of fun stuff coming up! In honor of the four wonderful years this blog has had, we are having authors share with you all what they were doing four years ago at this time and what they hope to be doing four years from now. Each post will include a giveaway, so be sure to check back every day until August 7! Where was I 4 years ago? Well, I couldn’t tell you exactly where I was in August 2011, but I do know I’d been writing fiction for a year and a half. One year and a half since deciding while writing up my PhD thesis that I wanted to try my hand at fiction. A year and a half of trial and error and testing my abilities. I’d managed to put a speculative fiction night class at Vancouver Community College and a workshop at the Vancouver Public Library with Spider Robinson under my belt, and had even found a local writing group to share work with on Sunday afternoons over a beer. I had yet to sell any of my writing- short story or otherwise - but after that year and a half of writing, putting in at least an hour every night, I had a better idea where my strengths and weaknesses lay. I’d also begun to develop my own esthetic tastes. I’d discarded one sci-fi novel, begun a fantasy novel and had yet to try my hands at urban fantasy. I wouldn’t give urban fantasy a shot until the following summer of 2012 at David Farland’s writer’s workshop in Utah where I began Owl and the Japanese Circus (oddly enough I was there to work on my fantasy I’d begun the summer before… the one that got side tracked as I wrote OWL and THE VOODOO KILLINGS…the one I’m currently trying to fix up now…). It wouldn’t be until the following summer, 2013, when I’d sign with my agent and OWL would sell, and then again the following winter, 2014, when THE VOODOO KILLINGS would sell to Random House Canada. Joking aside, predicting the future was never my strong suit. If someone had of told me when I started my undergraduate degree at SFU in the Anthropology and Archaeology program that three years later I’d have transferred to Molecular Biology and Biochemistry and be working in a genetics lab, I’d have laughed. Likewise when I began my PhD work. If someone had of told me that almost ten years later I’d be a full time writer, I would have met it with bemused skepticism. I was a research scientist after all! I didn’t know the first thing about writing a book. In my experience, it’s the things you don’t see that show up on your horizons. Where would I like to be? Optimistically still writing and turning out books that entertain…at the very least I’ll hope for a few more OWL novels. 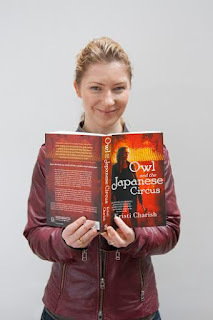 Kristi is the author of OWL AND THE JAPANESE CIRCUS (Simon and Schuster Canada/Pocket Books), an urban fantasy about a modern-day “Indiana Jane” who reluctantly navigates the hidden supernatural world. She writes what she loves; adventure heavy stories featuring strong, savvy female protagonists, pop culture, and the occasional RPG fantasy game thrown in the mix. 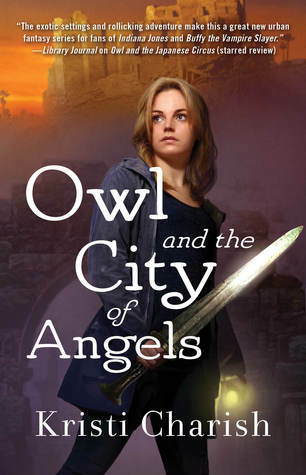 The second installment in the Owl series, OWL AND THE CITY OF ANGELS, is scheduled for release Oct 5th 2015. THE VOODOO KILLINGS, book 1 in her second urban fantasy series, KINCAID STRANGE (Random House Canada), about a voodoo practitioner living in Seattle, is scheduled for release mid 2016. 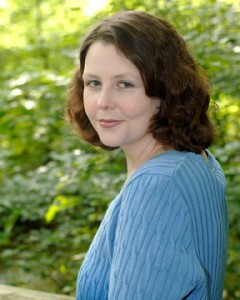 Kristi is also a co-host for the popular Adventures in Sci-Fi Publishing Podcast and also has a PhD in Zoology from the University of British Columbia. 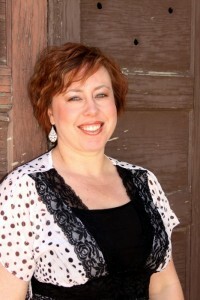 She is represented by Carolyn Forde at Westwood Creative Artists. Click on the covers to add to Goodreads. And for more on Owl, check out our Q&A with Kristi and our review of Owl and the Japanese Circus. Blogoversary Giveaway: Win Four Fun, Fabulous PNRs from Dakota Cassidy! In honor of four wonderful years, we've got two weeks of author guest posts and giveaways! Be sure to check back every day until August 7. Dakota Cassidy couldn't make it to our Blogoversary party but because she's awesome, she still sent a gift. We've got digital copies of the Wolf Mates series (that's An American Werewolf in Hoboken, What's New Pussycat, and Gotta Have Faith) as well as Accidentally Aphrodite for one lucky winner! USA Today Bestselling author Dakota Cassidy lives for a good laugh in life and in her writing. In fact, she almost loves a good giggle as much as she loves hair products and that's saying something. Enter to win four fun, fabulous PNRs! This giveaway is INTERNATIONAL. 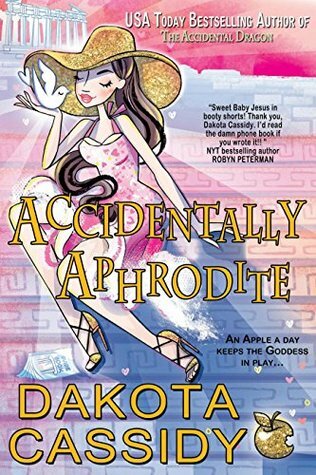 For more on Dakota's latest release, Accidentally Aphrodite, check out my review. In honor of the four wonderful years this blog has had, we are having authors share with you all what they were doing four years ago at this time and what they hope to be doing four years from now. Each post will include a giveaway, so be sure to check back every day through August 7! 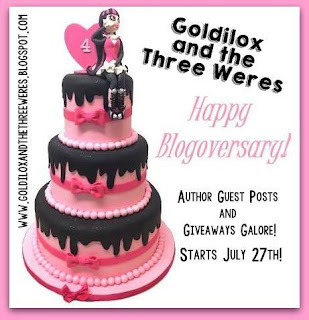 Thanks so much to everyone at Goldilox and the Three Weres for asking me to be a part of the blogiversary celebration! Four years might not seem like very long, but in some ways, it’s felt like much longer than that. I mentioned to my agent the other day that publishing years are like dog years: for every year I’ve been in publishing, it feels like seven. Four years ago, my son was starting high school as a freshman. I was a debut author launching a new series. 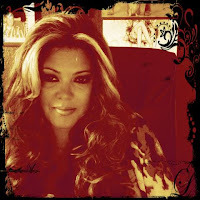 I dove into social networking head first and met so many amazing readers, bloggers, and writers. I envisioned my future writing the Shaede Assassin series and nothing else. My entire universe centered around Darian. She was the realization of a life-long dream. A year and a half passed and those grand plans changed. I had to adapt which was fine because I’m nothing if not flexible. LOL! I thought that the shift away from urban fantasy and the changing the climate in the industry would shut down my career prospects before they even got started. I was wrong. I’ve written about Shaedes, U.S. Marshals, and billionaires, shifters and vampires over the past four years and I couldn’t be happier. I’ve met even more awesome bloggers, readers, writers, and editors. In retrospect, I’m glad that a year feels like seven in the book industry because I feel as though I’ve been able to enjoy this ride seven times as much! Today, my sweet freshman is about to leave for pre-season camp as a college soccer player! He towers over me and I worry about who’s going to heft the 50lb bag of dog food out of the car when he’s gone. 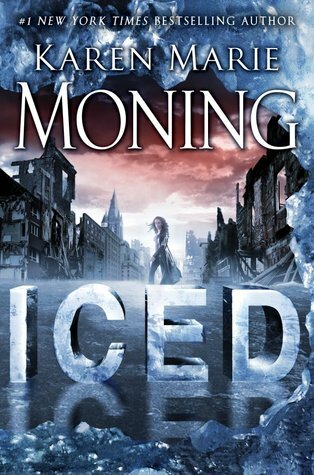 Today, I have three series out in the world and several novellas. And as I look toward the next four years, I don’t plan on slowing down. I’m an empty nester which means, more time for me! I’m going to enjoy the next four years in a way I didn’t get an opportunity to as a (very) young mom. I’m going to write and write and write until my fingers cramp! I’m going to write more about Shaedes, and U.S. Marshals. Billionaires, shifters, and vampires. I’m going to write a new series this year and who knows, maybe this is the one I’ll still be writing four years down the line. Either way, I’ve decided to roll with the punches. Whatever the next four years brings, I’m ready for it! And I plan to enjoy it! What were you doing four years ago? Where do you see the next four years taking you? Amanda Bonilla is giving away two digital ARCs of Shadows at Midnight (Shaede Assassin #5.) It's not even out until September 24, so you'll get it before anyone else! And this giveaway is INTERNATIONAL. Click on the cover to add Shadows at Midnight to Goodreads. In honor of the four wonderful years this blog has had, we are having authors share with you what they were doing four years ago at this time and what they hope to be doing four years from now. Of course, we thought we should share our own answers with you guys too! Each post, including the ones from us, will include a giveaway, so be sure to check back every day for the next two weeks! What were you doing at this time four years ago? JE: Four years ago in 2011, I was starting up my Mythos Academy young adult urban fantasy series and continuing to write more books in my Elemental Assassin urban fantasy series. I think I had four books out that year – two in each series – so it was definitely a busy time for me. What do you predict you will be doing at this time four years from now? JE: Winning the lottery and taking an early retirement. A girl can dream, right? LOL. But seriously, I hope to be doing what I am right now – writing books. Hopefully, four years from now, I’ll have written and finished a new series or two and have ideas for even more books/series. Jennifer is giving away a print copy of the first book in her new series, COLD BURN OF MAGIC! Winner must be 13 or older and live in the US only. Four years ago I discovered that the books I enjoyed reading the most had something in common - they all had that something extra. I came across a little site called Goodreads and learned that this something extra was what put all these books in the genre of speculative fiction: fantasy, paranormal, sci-fi, dystopian, etc. I started chatting with other readers through comments on Goodreads, began writing short reviews for the books I was reading, and eventually built up a nice little community of reading buddies. This led to the creation of the blog, Goldilox and the Three Weres in the summer of 2011. I'm a teacher, so summertime seemed like the smartest time to start something like a book review blog. I was inspired by bigger blogs like All Things Urban Fantasy and Parajunkee. The past four years have been SO AWESOME. There's really not a better way to describe them. This blog has been a lot of work at times, but it has absolutely been worth it. I have been so amazed by the world of book blogging. Bloggers are some pretty damn cool people. The friends I have made through blogging have become people that I consider real, true, lifelong friends. I've also loved going to book conventions and meeting bloggers from all over the country. As a regular reader I probably wouldn't have attended most of these conventions. And the authors!!! Meeting the people behind the books that I love has been amazing, and that never would have happened without this blog. 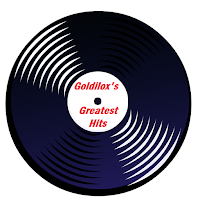 But, the most wonderful thing about being Goldilox has been just having an outlet to discuss books. It's still so surprising to me that people care at all what I thought about the latest release, and that people actually read my reviews! 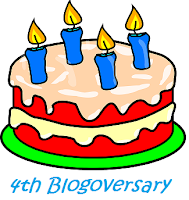 Four years from now I hope to still have the blog, of course! Hopefully my co-bloggers will still be with me and maybe we'll even have some new reviewers join us by then! I don't know where I will be in my career or in my personal life, but I hope I will still be reading, still be blogging, and still be celebrating blogoversaries like this one! Below I have pictures of some of my favorites books/series of the past four years. One winner may choose TWO books from below (hardback, paperback, or Kindle/Nook book) or any other books in the same series as the book shown, or a book by the same author. Both books chosen do not need to be in the same series!